Almost every day you spend a substantial part of your time on property that you do not own: going to work, shopping, visiting others’ residences, and so on. Most of the time these visits are uneventful. But what happens if you suffer an injury on that property? What rights do you have, and what duty does the owner of that property have to you to prevent that injury? If you’ve been injured, an experienced premises liability lawyer can answer these questions and others. 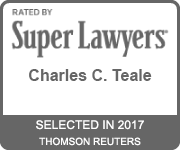 Attorney Charles Teale is a personal injury lawyer with experience handling premises liability cases throughout New Hampshire. Contact Attorney Teale directly at 603-935-7425 for a Free Consultation Today in order to learn more about your rights and to get answers to your questions. What are some common causes of premises liability injuries? 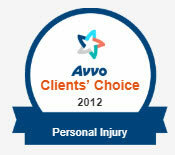 Premises liability is a variation of personal injury law. The most common basis for establishing liability for personal injury is to show that the individual accused of causing the injury was negligent. For premises liability purposes, finding that the owner or occupier was aware or should have been aware of foreseeable risks to others on the property is a key negligence element for the plaintiff’s attorney to prove. Also, whether the property owner or occupier knows of the existence of dangerous conditions or activities on the property is a question that can lead to considerations of “constructive” as well as actual knowledge. For example, in a slip and fall case where a supermarket shopper slips on a grape on the floor and suffers injury, how long the grape was on the floor is something to consider in determining whether the store owner had constructive notice of a dangerous condition. Business owners can also be held liable for premises liability injuries that resulted from the actions, or failure to act, of their employees even if the owner was not personally aware of the harm-causing behavior. Also, the acts of third parties can lead to property owner liability in some cases, such as when a store customer is mugged while on the store’s inadequately secured parking lot or when another store customer spills an item that remains unattended to for an unreasonable period of time. If you were on someone else’s property and were injured while you were there, a good starting point is to contact an attorney who has experience in this subset of personal injury law who can assist you in assessing the facts and applying them to the law. 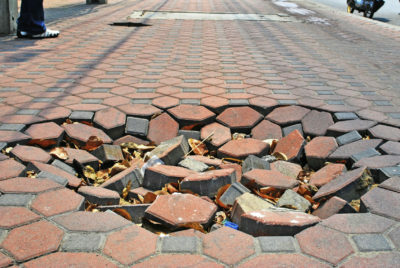 How do you know if you have a case for premises liability? Premises liability depends on two elements: the legal status of the person who is on the property of another, and the conduct of the individual or business that owns or occupies the property. Not everyone who is injured on the property will qualify to win compensation under this legal theory. That’s why it’s important that you call Teale Law today to discuss the facts and to obtain a qualified legal opinion. Consultations are always free. Call 603-935-7425 now! Invitees and licensees: People who are on the property of someone else either as guests (including patrons of businesses) or who have been allowed to enter to perform a specific purpose such as construction, maintenance or utilities work, have more rights against the owner or occupier of the premises if they suffer harm. Trespassers: These are people who enter or remain on the property of another without permission. The law provides injured trespassers the least recourse against the property owner. Trespassers that the owner does not know are present might recover for injuries suffered if the owner engages in deliberate or wanton misconduct; injured trespassers that the owner is aware of may be able to recover against the owner if the owner fails to provide warning of dangerous activities or hazardous artificial conditions on the An exception to this rule, however, involves children who trespass onto property (the “attractive nuisance” doctrine). Recreational users: An owner or occupier of land has a limited duty of care toward those who enter upon it to engage in a recreational activity. These activities include (but are not limited to) fishing, hunting, camping, hiking or biking, or off-road vehicle use. Note that the recreational use standard can be affected by considerations such as whether the owner or occupier charges a fee to use the property, or if a recreational user injures another person who is entitled to a higher degree of care like an invitee or licensee. The main difference between the three classes of people above is in the degree of care that the property owner or occupier must exercise on their behalf. The fundamental standard of care is that the owner or occupier must keep the premises in a condition that is reasonably safe, to take reasonable steps to prevent foreseeable harm to others, and to warn others about dangerous conditions. The failure to meet these standards exposes the owner or occupier to potential liability for harm that may ensue. The standard can be more strict when applied to certain people (children, for example), or less so with others (trespassers and recreational users). If you are in need of an experienced premise liability lawyer contact Teale Law today for a free consultation. You can also call 603-935-7425 anytime to arrange your free confidential consultation. 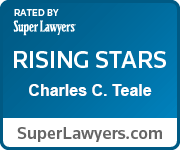 Attorney Charles Teale serves clients in Manchester, Concord,Nashua, Portsmouth and throughout New Hampshire.